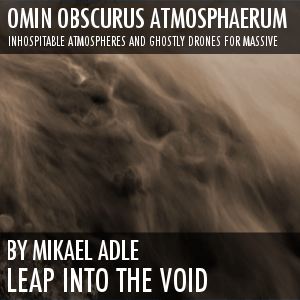 Leap Into The Void – Omin Obscurus Atmosphaerum. Cinematic, death ambient, drone, noise, industrial and spiritual. Imagine the atmospheres of the deepest forests, harsh deserts, arctic storms, the ambience of a ghost city, the tail of a comet, industries inside a tomb combined with grains of spirituality and, you have just depicted Omin Obscurus Atmosphaerum in it’s essence. Omin is sound design sorcery at your fingertips with an almost infinite amount of layers within each sound. Morphing and coloring via precise multi-assignments using mod wheel (mood wheel macro knob 1). Extensive sound shaping possibilities using the eight macro knobs. Detailed patch list included with comments and descriptions of each sound. Note: All sounds heard in the demo come from the soundset with no fx used but a small amount of limiter on the output.